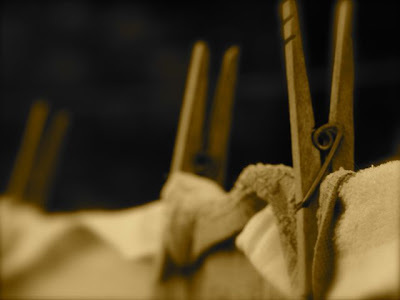 Two things that were constants in my childhood- blackberries and clothespins. My mother, her mother, and her mother’s mother – all southern ladies, passed these traditions down to the next generation. 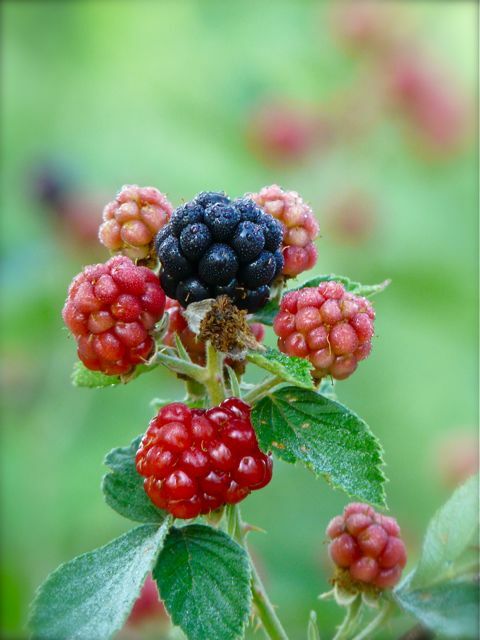 They could make a blackberry cobbler with a shoe. 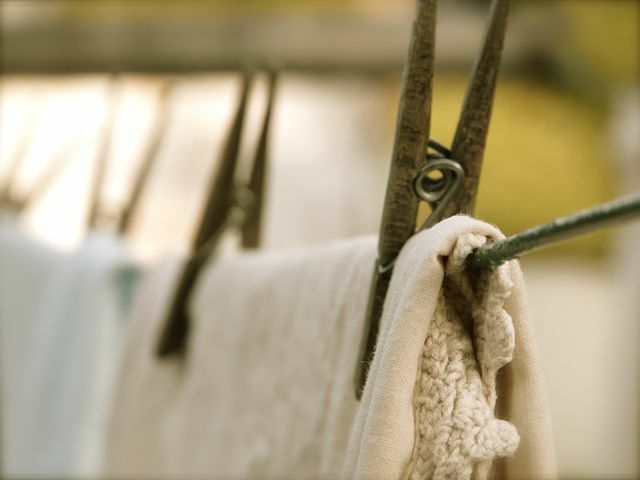 There was always a steady stream of laundry on the line. Looking back, many of my memories have blackberries and/or clothespins in the background. Let’s just say that my heavy sighing and eye rolling did not go unnoticed. Nor did I actually follow the instructions. Many days, the scorned electric dryer was fired up just before my mothers return home. Of course, the “dryer smell” or the lack of the “outside” smell gave me away every stinkin’ time. I hated that our laundry was on display for everyone to see. For the love of gravy, what if someone saw my undies hanging out there? Was my mother trying to ruin my life? My mother now lives in the same house that my grandmother lived in. She makes the same trek out to the clothesline each day that my grandmother did, uses the same pins. Just beyond the clothesline is the massive row of blackberry bushes. 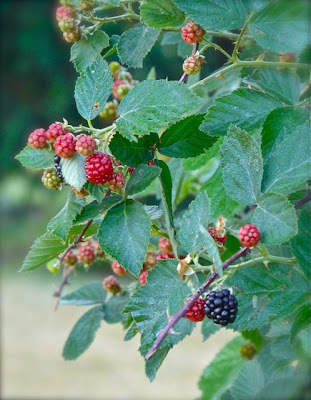 My kiddos now go berry pickin’ at the same bushes that I did. The same bushes that provided me with years of purple teeth. My sister lives three doors away from my mother, 6 acres between them. We spend our visits running back and forth between the two- often barefoot or in our jammies. When my kiddos finally lay their heads down at night, exhausted from a day romping with the cousins, I know that they are drifting toward sleep with the scent of fresh laundry in their widdle noses….and that their teeth are tinted purple. After years of scoffing at the wash on the line, I’ve come to love this image. I have had a long love affair with the blackberry. Love that we’ll worn patina on those clothespins. I have a large stash of them even though I don’t have a clothesline. What up wit dat?